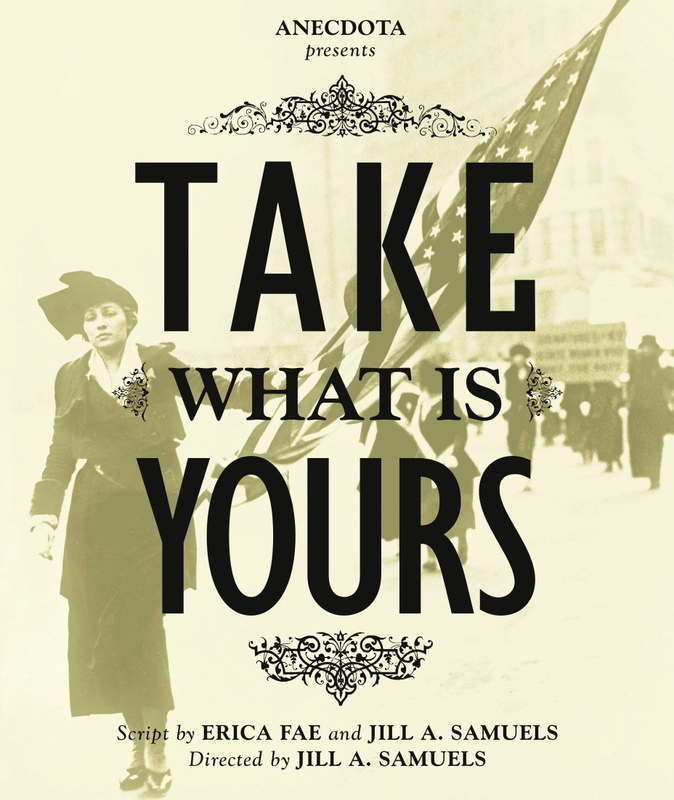 Take What Is Yours tells the (too) little-known (true) story of how American women fought and won the right to vote. Inspired by and composed in the words of Alice Paul, the National Woman’s Party, and documents of their time. After leading peaceful suffrage protests for six months in front of the White House, Alice Paul was arrested and sentenced to seven month in prison for allegedly “obstructing the sidewalk”. While imprisoned, she led a hunger strike, was put in solitary, force-fed, and interrogated in an attempt to discredit her as a leader and bring an end to the nation’s first successful civil disobedience campaign. Through Alice Paul’s inspiring story of personal courage and sacrifice, Take What Is Yours illuminates political and social issues which still resonate today. This stunning new production employs virtuosic physical and vocal transformation, a highly-visual interactive set (which was nominated for a Henry Hewes Design Award), a richly-layered cinematic musical score, and projections composed of historic images. The innovative set moves and transforms as an extension of Alice’s psyche as she traverses between conversations with the prison doctor and re-lived memories of key moments in the suffrage movement. As the action accelerates and Alice’s physical strength begins to deteriorate, the walls between present and past, reality and memory come crashing down in a breath-taking finale.